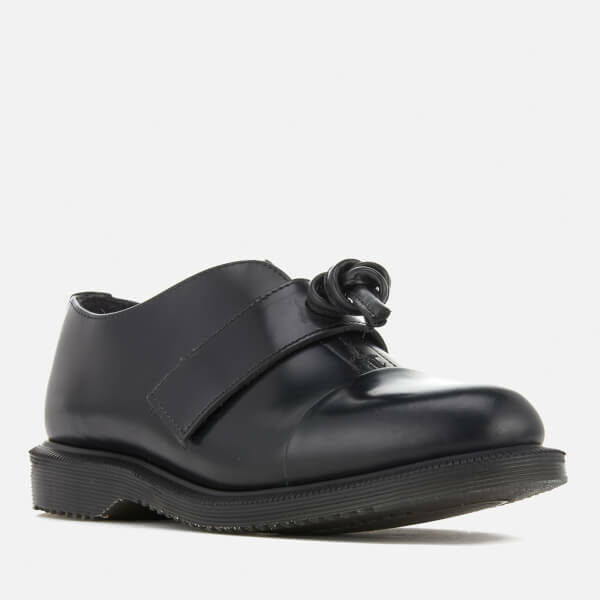 Women’s ‘Eliza’ black leather Oxford shoes from Dr. Martens. 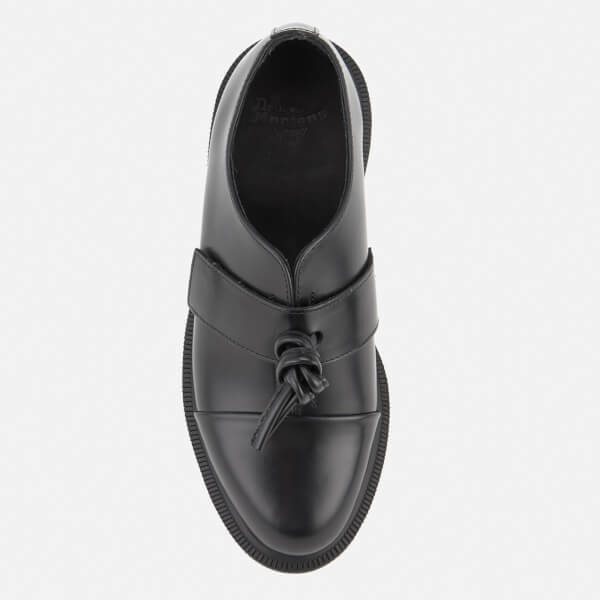 Crafted from smooth polished leather, the slip-on shoes are designed with an elasticated strap over the vamp and knotted tassel detail. 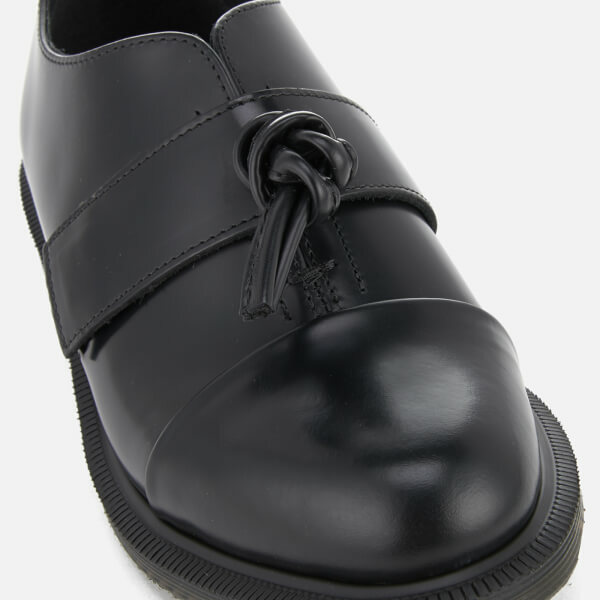 Goodyear-welted, the upper and sole are heat-sealed and sewn together for durability. 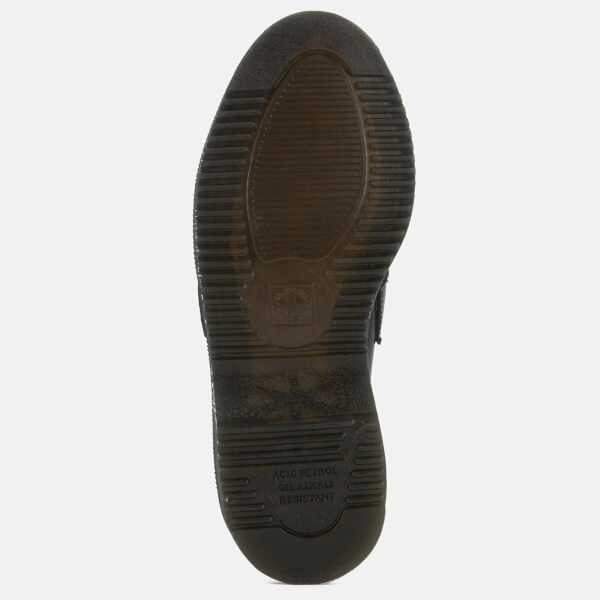 Complete with a comfortable air-cushioned sole that offers superb grip and signature grooved sides.